Two Host Committee Memberships! (See above for what's included). A selection of (1) at checkout will buy a host committee membership for both individuals. An ATL Art Party staff member will reach out to confirm how you would like the names to read on promotional materials. $10,000 could allow UNICEF to construct a temporary school in a conflict torn area for 80 students and includes teacher training, distribution of education materials, and sanitation facilities so that students can return to a safe and productive learning environment. *The event committee is open to customizing this package. Please contact us at <unicefatlartparty@gmail.com> to discuss creating a tailored proposal. $5,000 could allow UNICEF to provide 741 fleece blankets to be used in hospitals and health centers or distributed among the needy refugees. When all else that is familiar has been destroyed or lost something as simple as a blanket can provide a sense of safety and protection to a child. $2,500 could provide treatment for 40 acutely malnourished children. Event website and banner recognition. $1,000 can provide 5 classrooms with a UNICEF School-in-a-Box that helps children continue their eduction during times of emergency and conflict. Can't attend but still want to support UNICEF? Please consider making a $25, $50, or even $100 donation to benefit UNICEF. 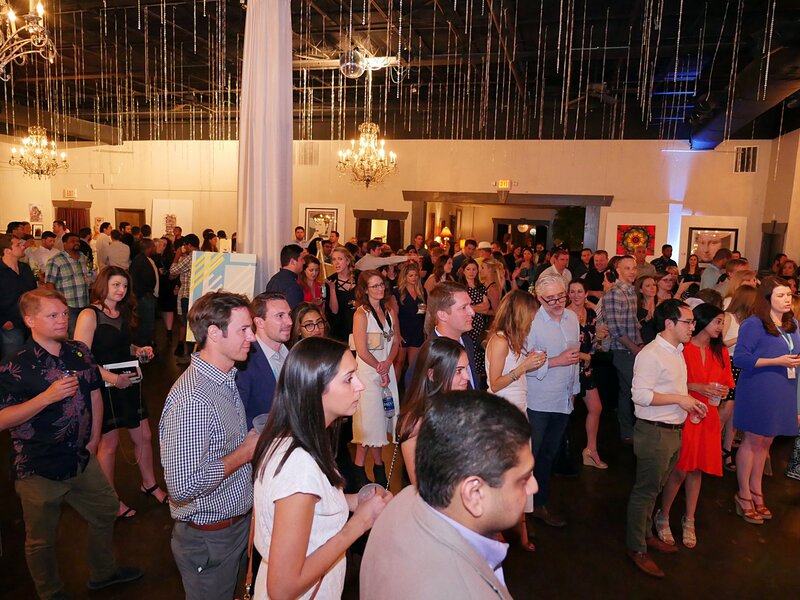 On Saturday, March 2nd, 2019, UNICEF NextGen is throwing our fourth annual ATL ART PARTY in West Midtown, Atlanta at 595 North Event Center. Alongside amazing local artwork from Atlanta creative community members, there will also be an open bar, food, a DJ and much more! We would love for you to join the party and make a difference! Proceeds from ticket and artwork sales go directly to critical UNICEF programs impacting areas such as global nutrition, water sanitation, child protection, education and healthcare. In 2018, artists helped raise over $85,000 for UNICEF!